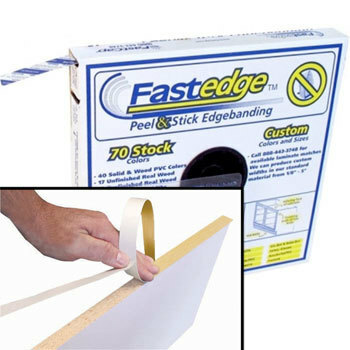 Fastedge is the perfect solution for field repairs, inside and outside radiuses, scribe tape, and other applications. Durable and easy to use. Made from real wood veneers. High performance pressure sensitive acrylic adhesive increases in strength as it cures, providing a long lasting, permanent bond. Rolls are 250’ in length. 15/16" W, Pre-finished Maple.